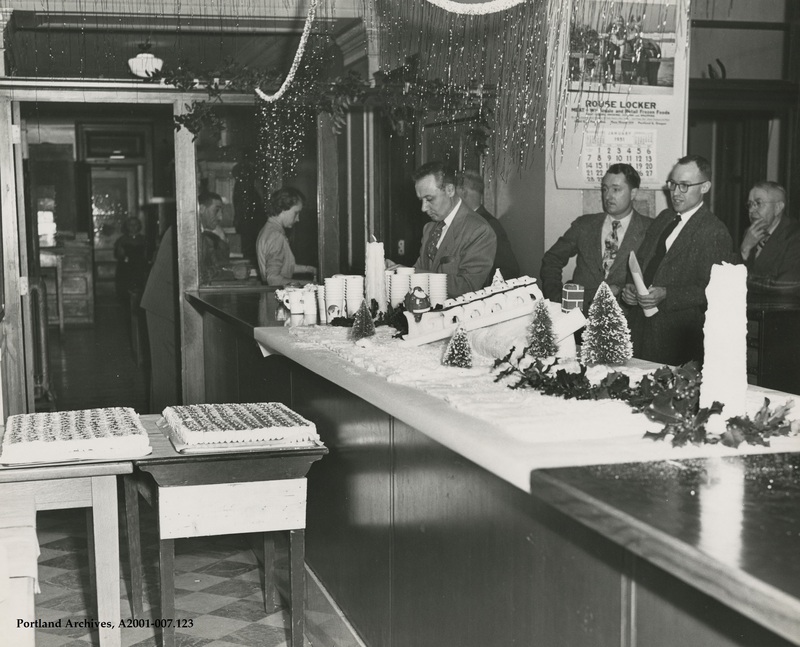 Christmas party at City Hall, 1950. 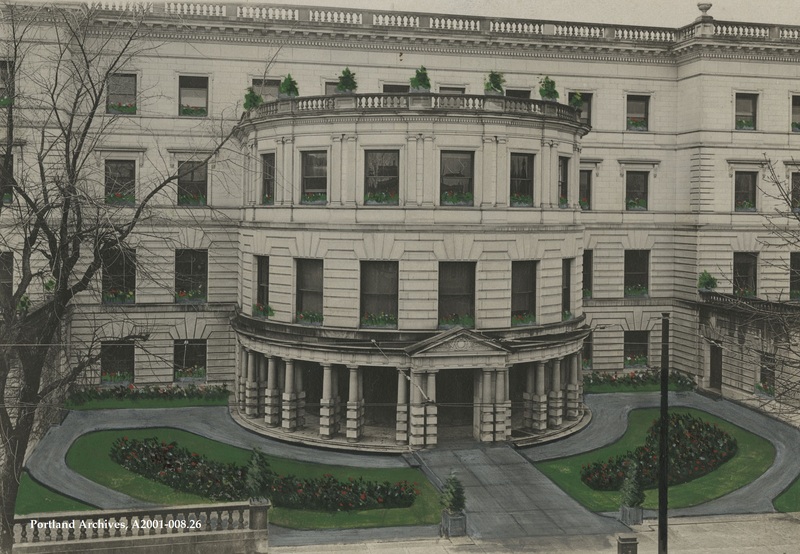 City of Portland (OR) Archives, A2001-007.123. 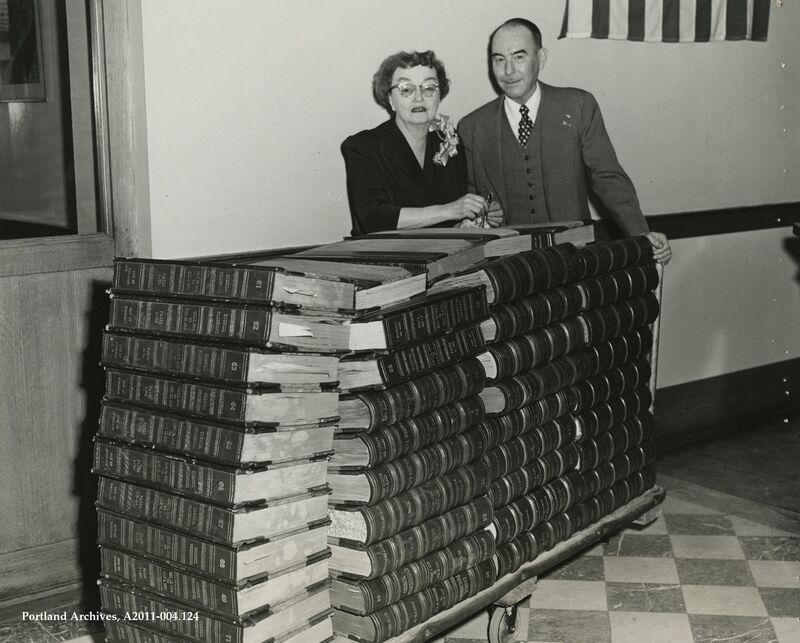 Frances Houck and Auditor Will Gibson standing next to bound Council Minutes volumes, 1952. Houck worked as an Auditor’s Office employee in the Council Contracts Division and this stack represents the work she did prior to her retirement. City of Portland (OR) Archives, A2011-004.124. 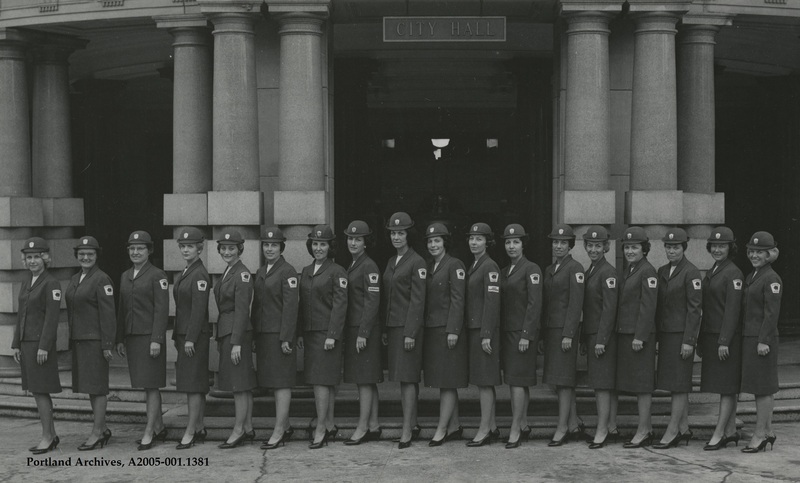 Parking Patrol employees outside of City Hall, 1962. 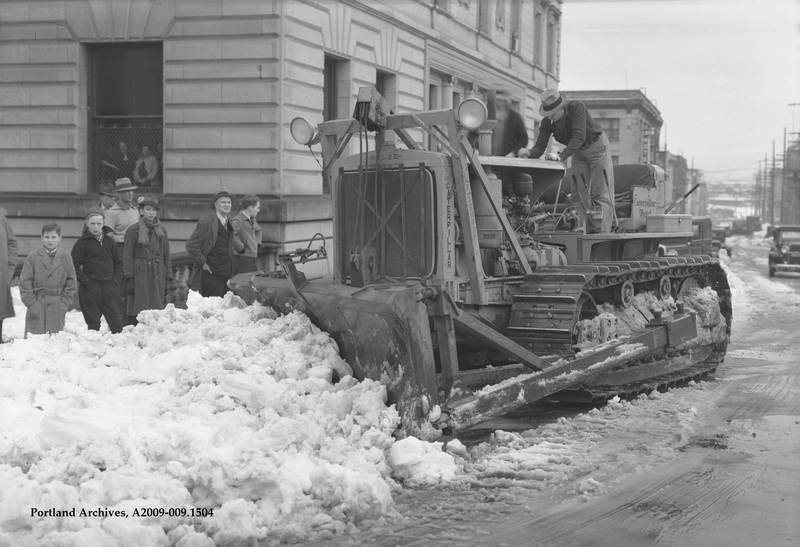 City of Portland (OR) Archives, A2005-001.1381. 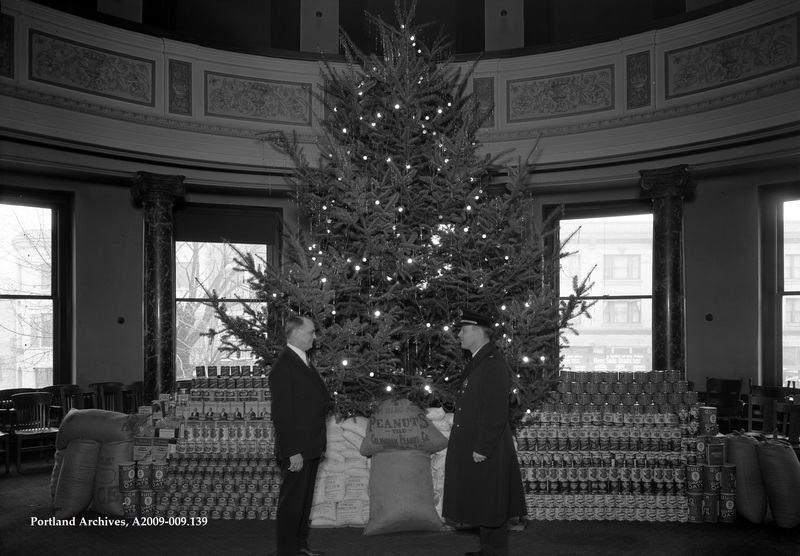 The City Hall Christmas tree located in Council chambers, 1935. Pictured with the tree and food donations to the Police Bureau’s Sunshine Division: Commissioner Earl Riley and Police Chief Harry Niles. 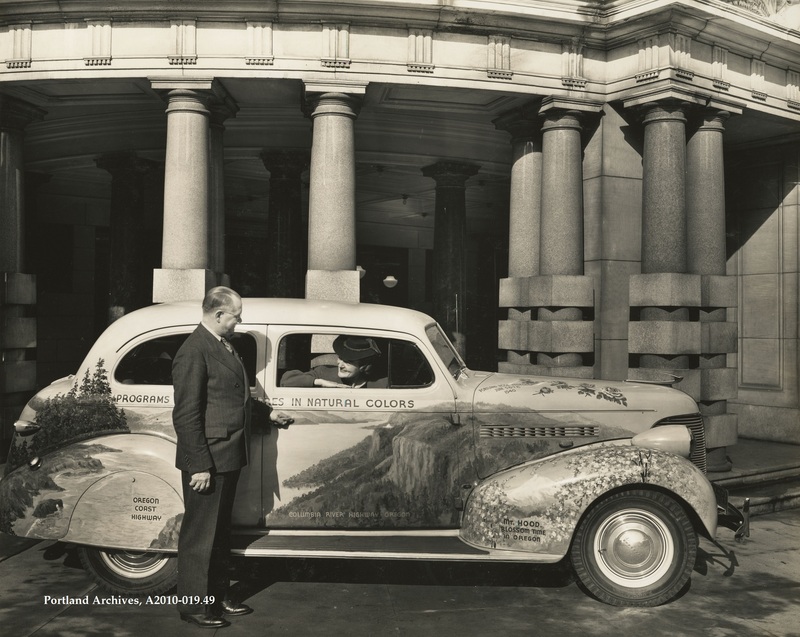 Mayor Earl Riley inspecting Oregon auto advertising in front of City Hall, 1939.